Glasgow - whose citizens are not traditionally unaccustomed to the consequences of self-indulgent excess - has a monumental hangover. As I write, the atmosphere in the city, four days after the end of the Glasgow 2014 Commonwealth Games, is somehow slower, heavier, almost slow-motion. But at least this time it's because of the end of one of the most celebratory, joyous and magical periods in the city's history, a period which will live long in the memory. Years of preparation and organisation to deliver 11 days of sport and culture created a genuine buzz in the city and beyond - and comms played a vital role. It wasn't, though, just about the city. Areas beyond Glasgow played their part, including my own council, North Lanarkshire. We hosted two days of triathlon at Strathclyde Country Park and a large part of the cycling time trial. The comms planning for this - just three days - began almost two years ago and has been the longest-running planning and delivery exercise I've worked on. Broadly speaking, this could be split into three areas - triathlon, time trials maximising our Proud Host Venue status through look and feel. Initially, triathlon was the biggest challenge. 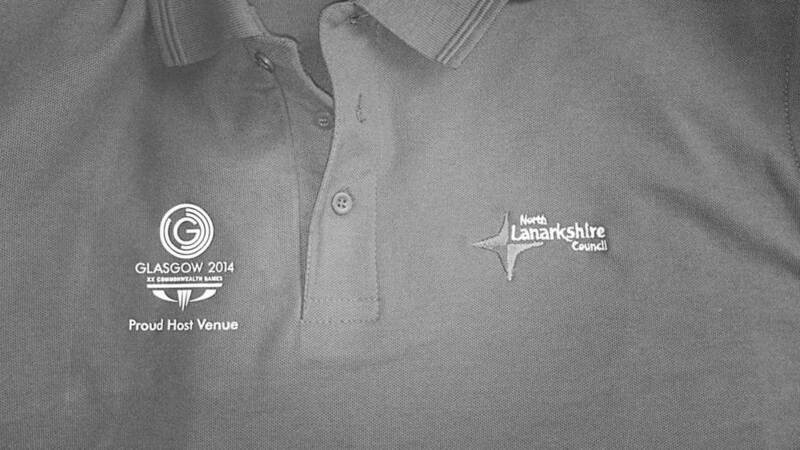 We had serious issues with the water quality at Strathclyde Park. An open water swim resulted in a number of competitors becoming ill, and we had to take the difficult decision to cancel the Great Scottish Swim in 2012 because of concerns about the water. Reputationally, this was tough. Operationally this was critical. A technical group involving the council, the Scottish Environmental Protection Agency (SEPA), Scottish Water and others was tasked with coming up with an answer. For a long time, the water was near the top of the risk register for the whole Games. After a lot of discussion, some trial and error, and a whole lot of investment from the council and the Scottish Government we had a fix, and the water quality levels far exceeded the necessary levels from January this year. It was still a huge relief when the final test a few days before the Games was all clear. To celebrate, I took the chief reporter of the local newspaper for a swim in the loch. While we were busy firefighting on water quality we had a whole different challenge with the cycling time trial. Time trialling is a closed-road affair, and in North Lanarkshire we had to close 186 roads to make the race happen, affecting more than 7500 domestic and business properties. Working with Glasgow 2014's engagement team, we wrote directly twice to all affected residents, hosted eight community engagement sessions and a business engagement session. This is comms the hard way - directly engaging with some very unhappy people. One very cross chap actually told me that "this is the kind of thing the Nazis got away with". I felt compelled to point out that closing roads was probably quite some way down the charge sheet at Nuremberg. Look and feel was massively important to us, and we project managed the roll out of around 210 lamppost banners across our communities, miles of bunting, other outdoor advertising, dozens of pedestrian and car park directional signs, a 14-metre high inflatable Glasgow 2014 logo, grass dyeing of a major roundabout and 27,000 flyers encouraging local people to come to the park for the triathlon. On top of that, we designed and ran a microsite (which averaged 100,000 views per week in the four weeks leading up to and including the Games), issued around 60 press releases, posted on Facebook hundreds of times, sent out hundreds of tweets (including live tweeting the reopening of all those roads) and produced a special edition of the staff magazine. And here's the thing: we did all of that without any additional people, with the exception of a truly brilliant graduate. At points this was madness. Tying scrim to a fence at 4am on the morning of the time trial and attaching corex signs to lamp posts at 10pm before the triathlon, knowing that we were back out at 5 in the morning was a touch on the crazy side. But we did it, and we did it well. Feedback from our residents - who enjoyed two days in the park and a day watching the cycling, feeling part of the Games - was exceptional. Genuinely, we were a Proud Host Venue. The hangover's pretty bad. But it was worth it. Never miss a post. Sign-up for our weekly email round-up. You can do that here.